It’s amazing sometimes how fast time can slip by without being noticed. I guess that’s how I managed to let almost a whole month go by without providing an update on my cowpea project. 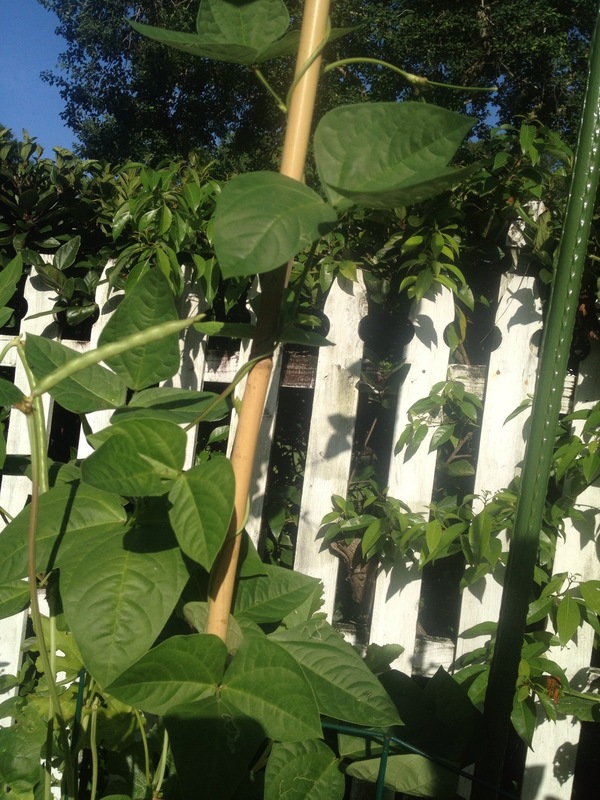 I continue to enjoy pretty good success with the cowpeas as I learn about this relatively unknown garden crop. As you may recall from my previous postings, this is my first time growing them, so I am using this summer as a learning experience. Based on the lessons I learn this summer, I plan to make adjustments next summer when I start all over again. 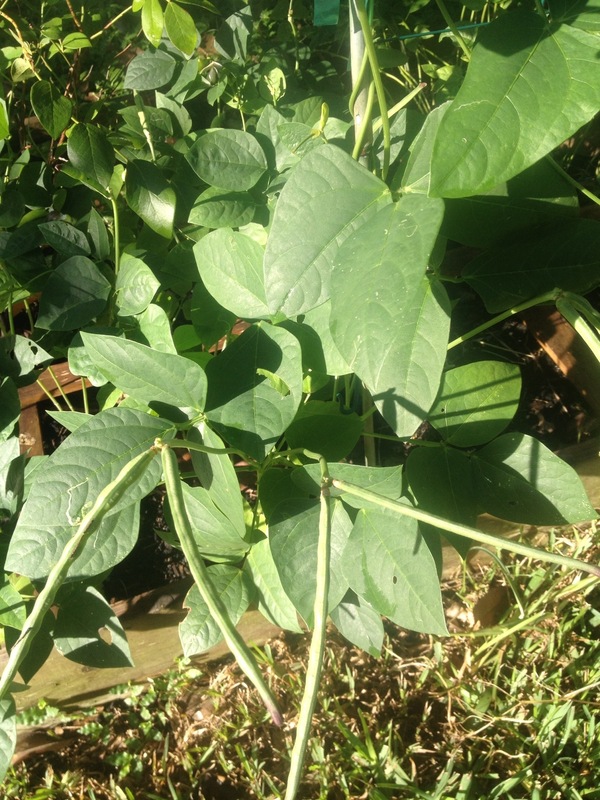 We have had cowpeas to eat off and on for several weeks now. I have been harvesting every two to four days, depending on my personal schedule and whether the weather permits me to do so. The harvest quantity varies significantly, depending mostly on the maturity of the different planting waves. So far, only the first two waves have been producing, and they have almost run their course. The ones you see in the rightmost basket below show what I picked today. When the first two waves were at their peak, I got significantly more than this at a time. 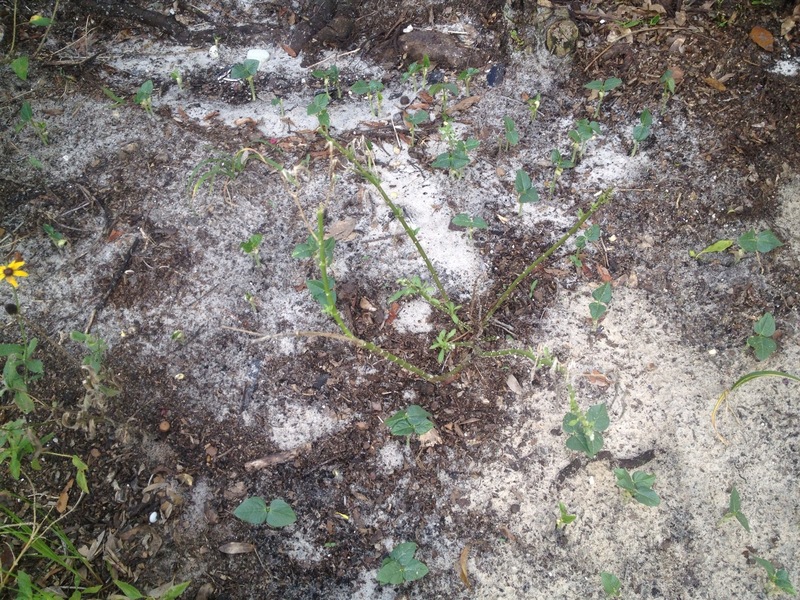 The plant in the next picture is one of only three plants still living from the first wave. 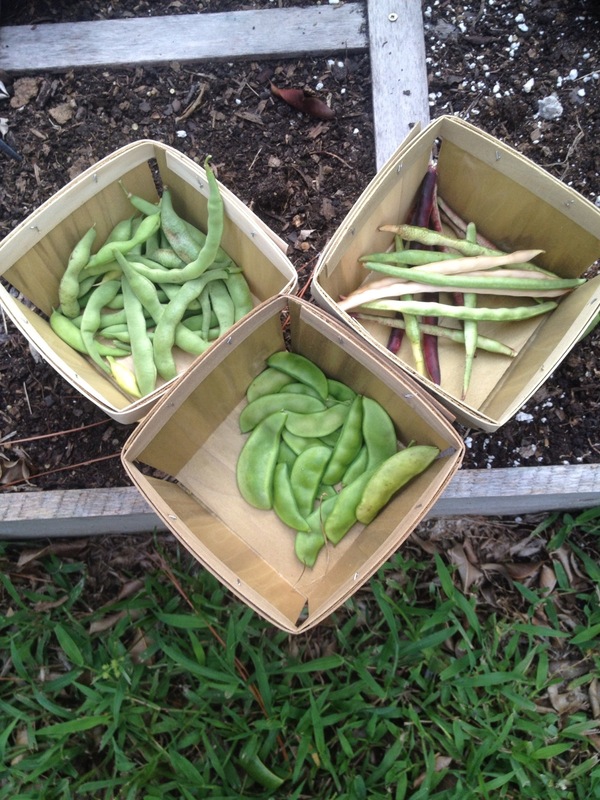 The purple hulled peas you see in this picture are the same ones you see in the basket above. The second wave, planted around the end of May, included three varieties. Two of those (Mississippi Silver and SaDandy) have produced quite a few peas, but the Red Rippers have yet to produce. 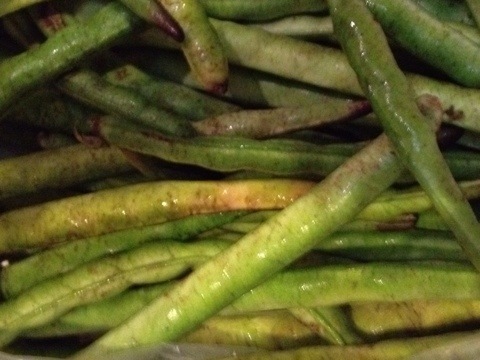 The Mississippi Silvers are just sitting around staying green, but not producing anything. The SaDandy, shown below, appear to be thinning out somewhat, but are producing another flush of peas which should be ready in the next few days. The Red Rippers, in the next two pictures have not produced anything yet, but this is not a surprise. All the literature I can find on the different varieties indicates that these take considerably longer to mature than the other two varieties planted in Wave Two. 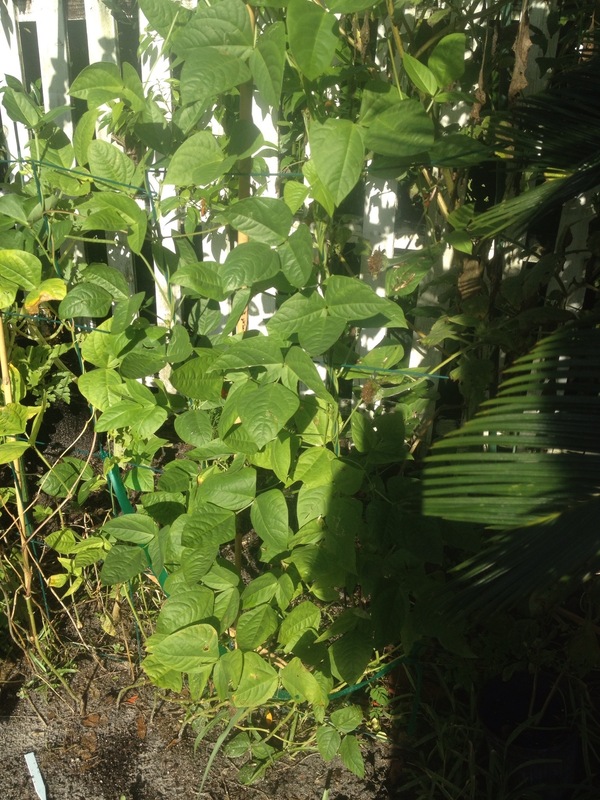 As you can see, they look quite healthy and are most definitely proving themselves to be climbers. They are beginning to produce some peas now, the earliest of which should be table-ready within days. The third wave has yet to produce, but is looking very promising. 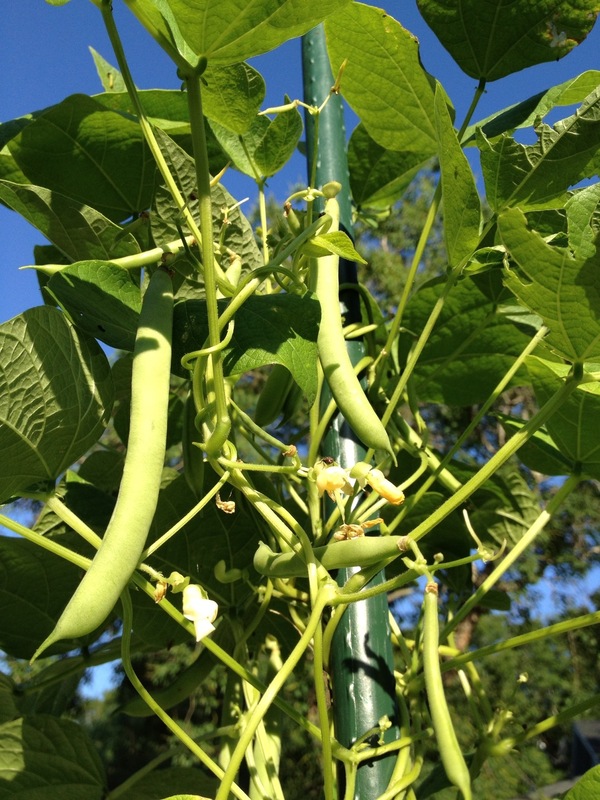 Many, many pods are within days of being ready to pick now. Varieties in this wave include California Blackeyed #46, Pink-eyed Purple Hull, and Mississippi Silver. Wave Four, which is planted in the flower bed to provide greenery and add nitrogen to the soil, is coming along nicely. No peas yet, but I wouldn’t expect them this soon. You can see in the picture below how they are doing. 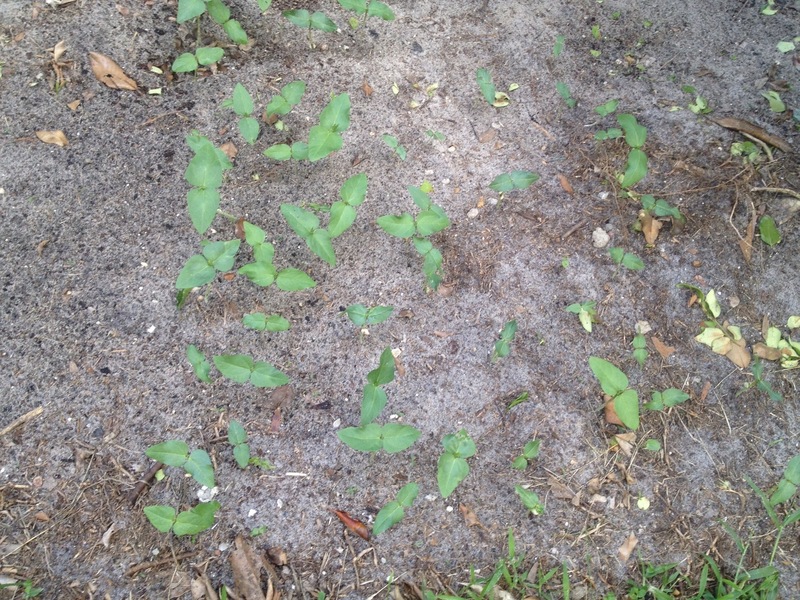 Since my last update, I have added a fifth wave to my cowpea project. This wave is planted in two separate patches on different sides of the house. Both patches are in areas intended for something other than permanent vegetable gardening, but both areas have really poor soil and could use the natural boost of nitrogen. 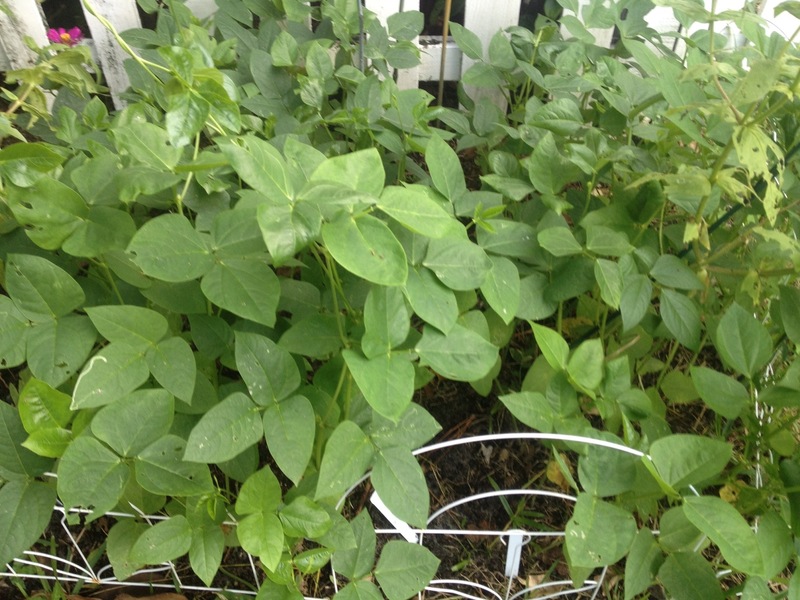 In addition, I plan to spade the plants into the soil after harvesting the peas, providing organic mass and additional soil nutrients. The first patch is the now infamous “bare patch” in my butterfly garden. I decided to plant California Blackeyed #46 in this patch while waiting for the recently started larval hosts (parsley, dill, fennel, etc.) to get big enough to transplant. This variety does not get very tall (meaning they should stay hidden from the road by the row of flowering plants in front of them), it matures quickly (meaning the herbs shouldn’t have to wait too long for their turn), and the plants die back quickly after harvest (giving me good organic matter for turning into the soil). If you look closely at the picture below, you’ll see a plant other than peas right in the center. 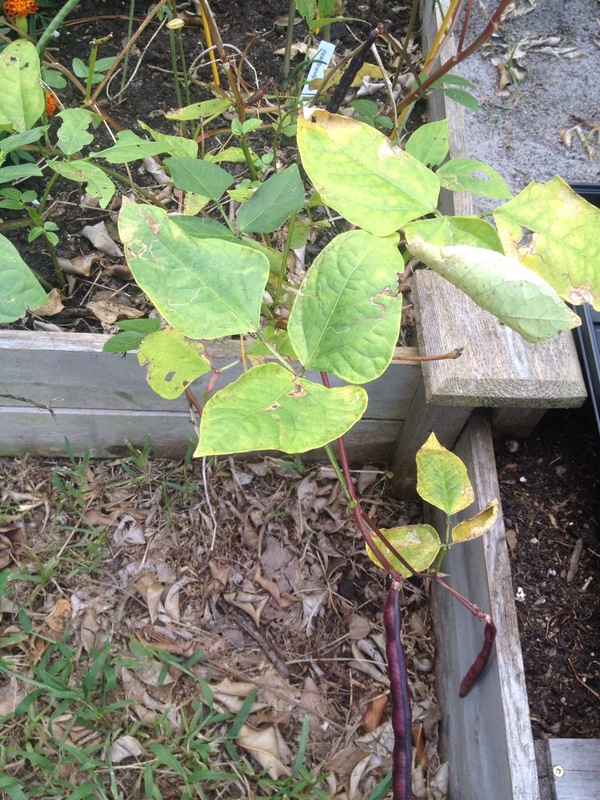 This is a milkweed that was recently eaten down to the stems by a Monarch caterpillar, as described in the post linked above. It has little tiny leaves all over it now, and should be looking healthy again in a few more days. In the top portion of the next picture, you can barely make out the base of the Duranta that I recently planted and discussed in a couple blog posts. 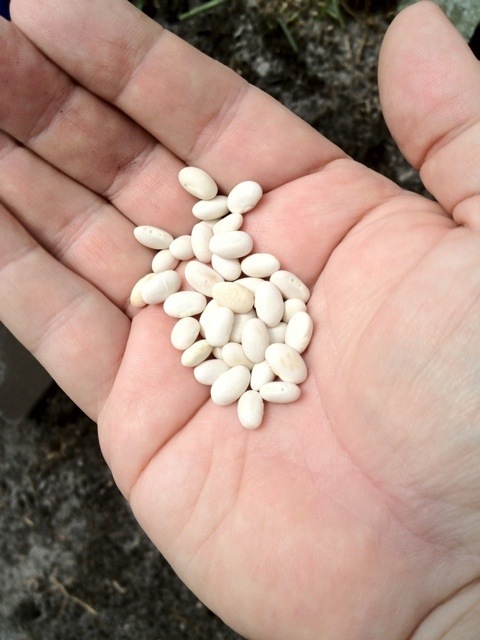 Finally, in the picture below, you will see a new addition to my selection of cowpea varieties. 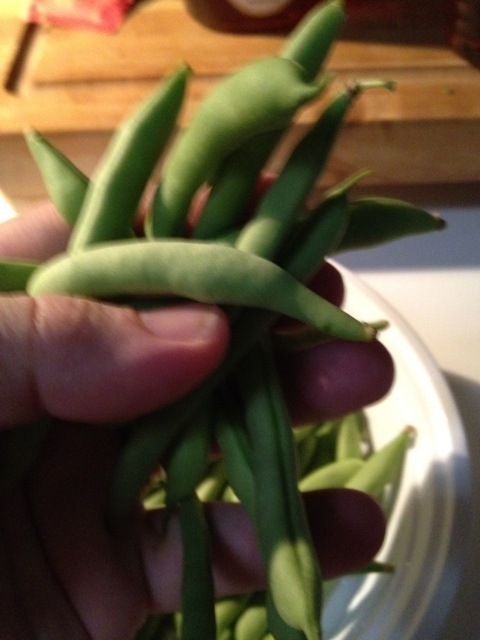 About the time I finished selecting the five varieties I would try growing over the summer, my wife and I bought some Zipper peas from the local farmer’s market, and we absolutely loved them. After buying and consuming several batches of them over the summer, I decided to grow some of my own. I finally found some seeds available for sale and proceeded to order a pound! 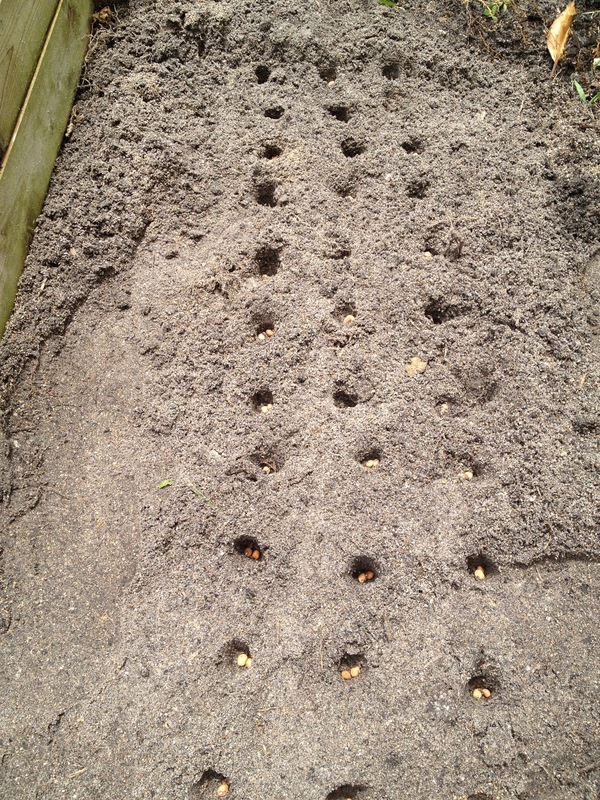 Assuming these taste like the ones we bought at the farmer’s market, this is just the first of many plantings. This location is along the back of our house near the pool pump. An old ligustrum bush recently died here, leaving quite a hole in the landscaping. I have replaced the ligustrum with a firebush, which is a species native to Florida, but it is growing slowly, so I decided to take advantage of the available space while waiting for it to fill in the space. 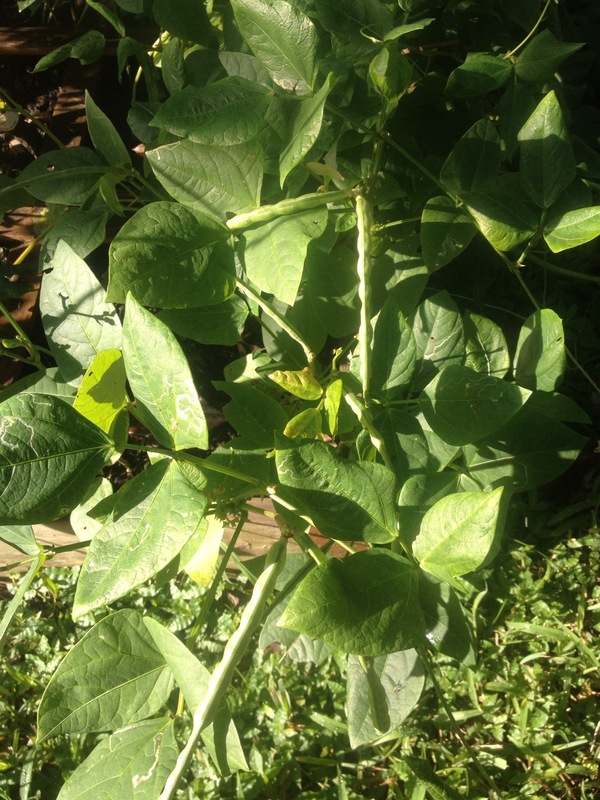 And, as I have mentioned before, being legumes, the cowpeas will augment the soil. That’s it for now. Until next time, happy gardening! 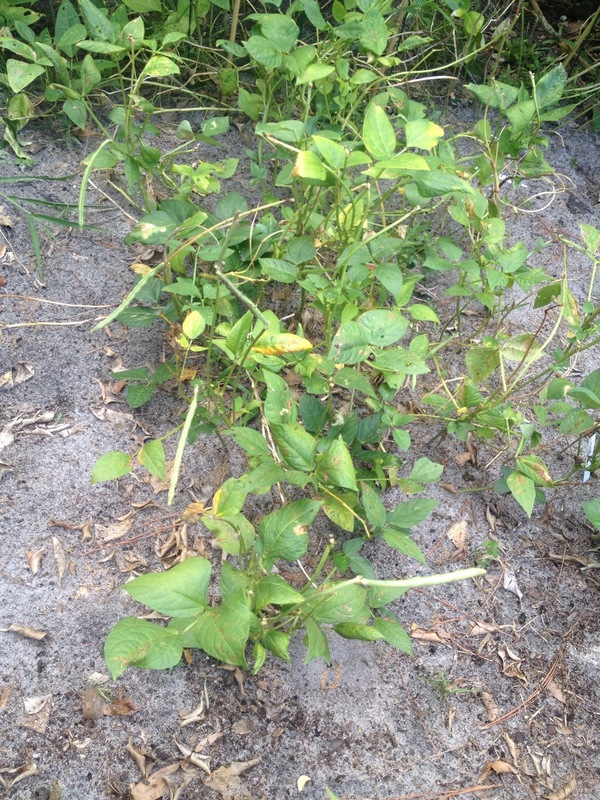 It has been about three weeks now since I first reported on my cowpea project. 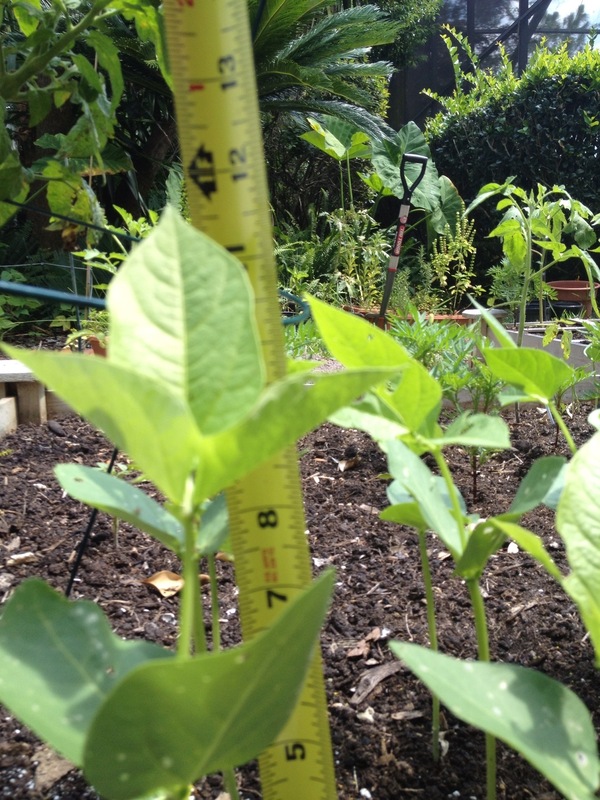 At that time, my California Blackeyed 46 peas were three weeks old and standing about 12 inches tall. 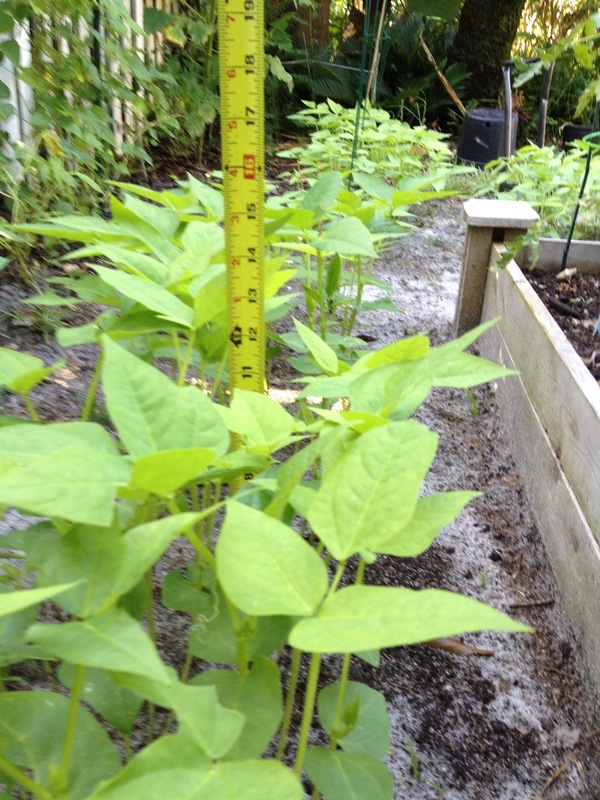 As you can see in the picture above, they now average about 20 inches. 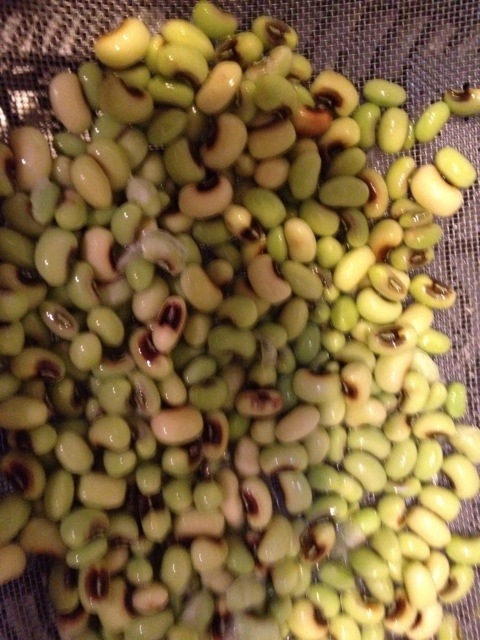 At the time of my previous post, I also had some Pinkeyed Purplehull peas a week younger than the Blackeyed variety. 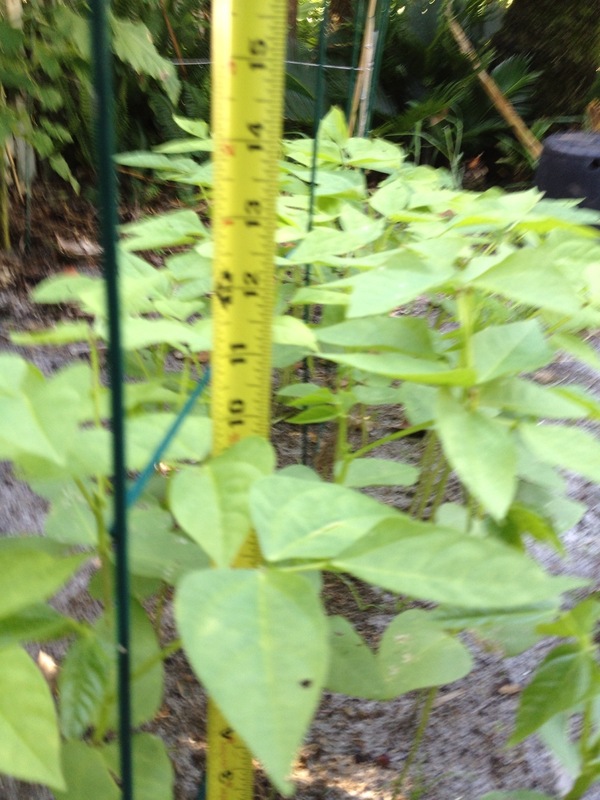 They were standing at about 7 inches then; now they are about 15 or 16 inches. 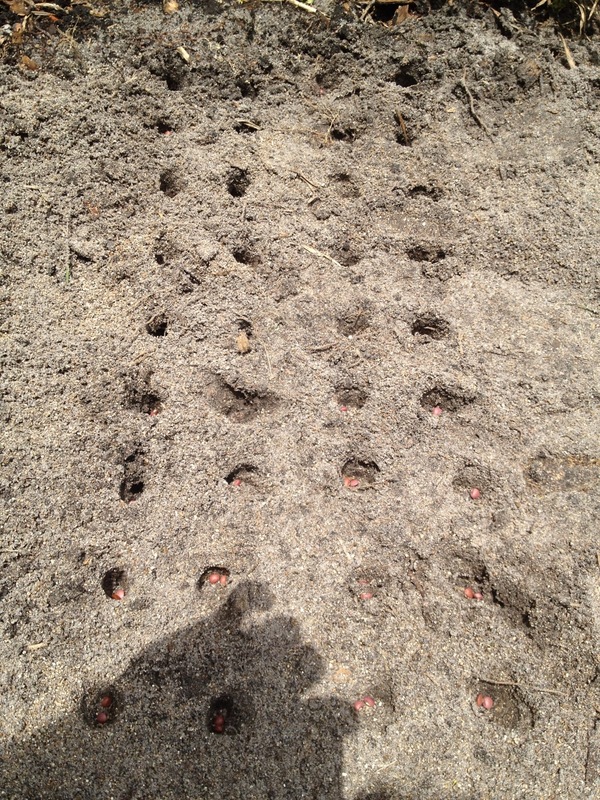 I had also just spent much of my Memorial Day holiday planting three additional varieties to round out the cowpea project. I am happy to report that all three are doing quite well. 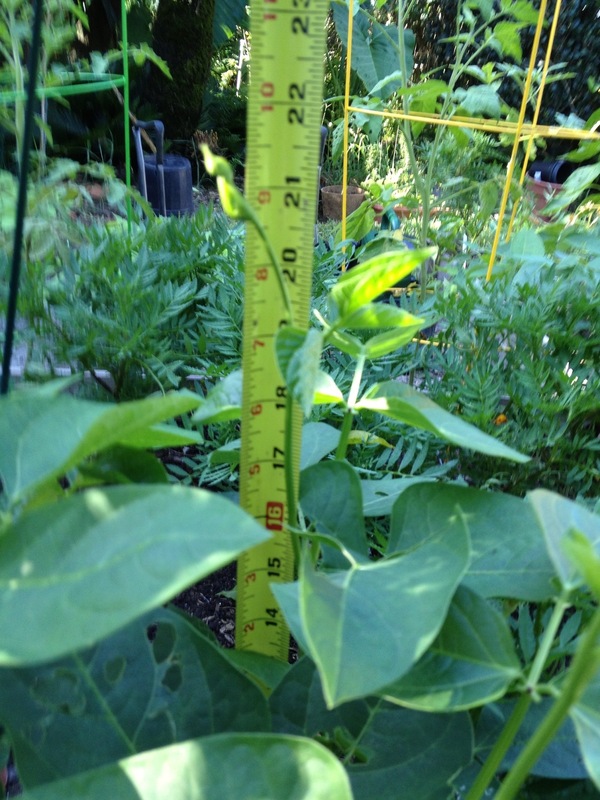 The Mississippi Silver peas are the tallest of the three. At around 14 inches, they are almost as tall as the Pinkeyed Purplehull. Next in sequence are the Red Rippers, which you see below planted with a trellis, as they are said to produce vines and to do better with support. At 12 inches, they are a little smaller than the Mississippi Silver. 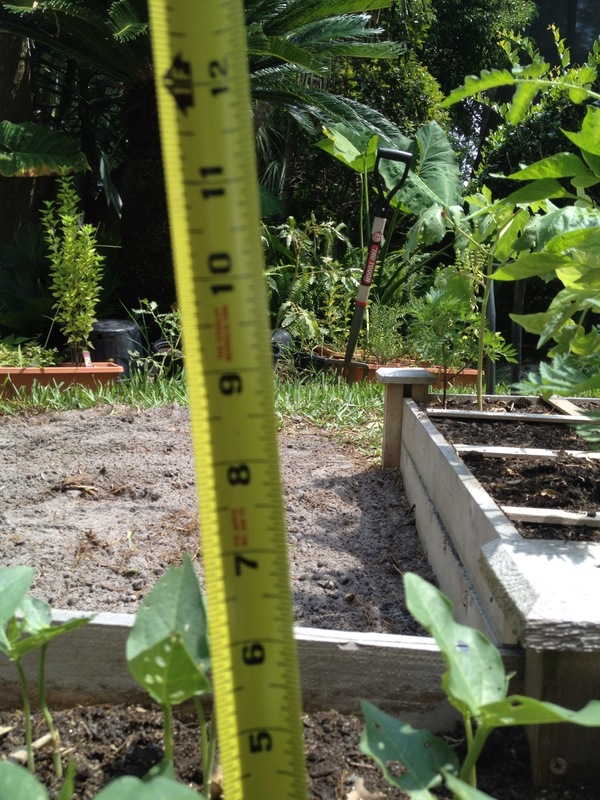 The third and final variety from my Memorial Day planting are the SaDandy peas. 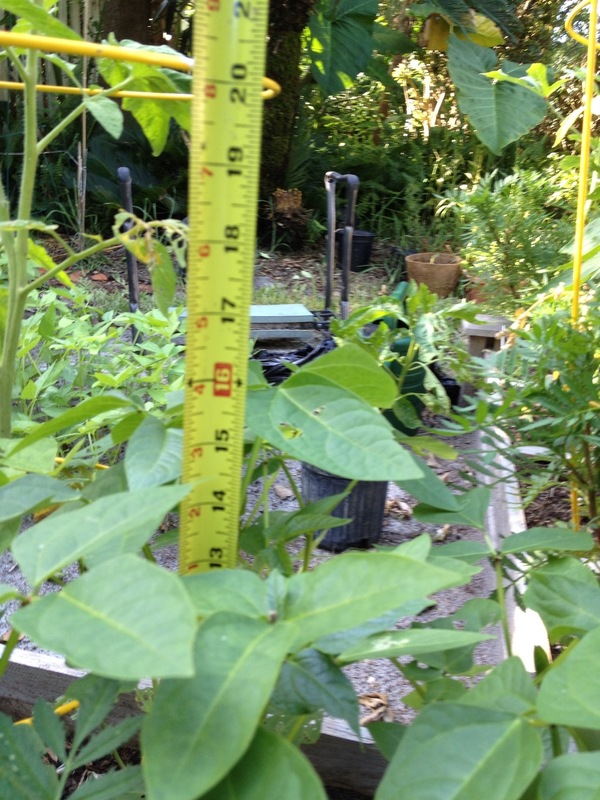 At 10 inches, they are the smallest of the three varieties. So far, all the varieties are looking healthy. I thinned them to a single plant every couple or three inches about a week ago which is the final spacing for this type of plant. 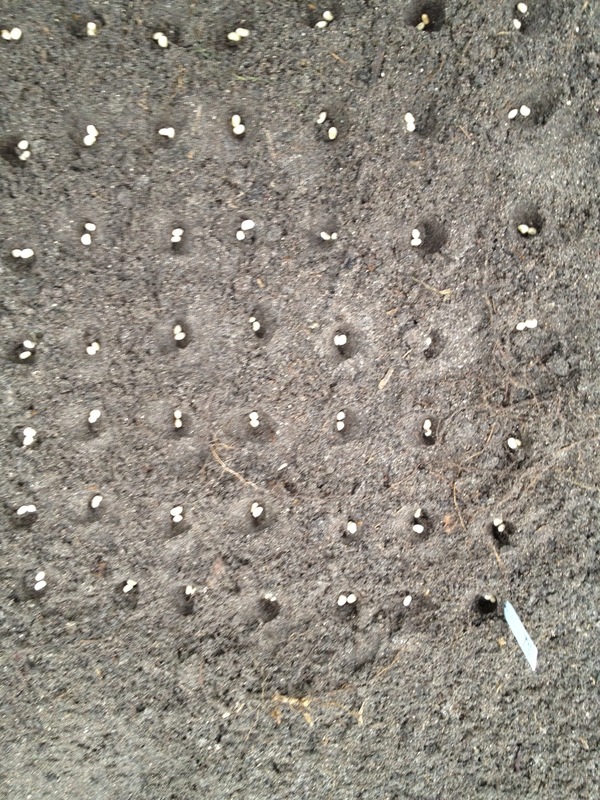 The last thing to report with this update is that this evening I planted another round of three of these varieties. I planted some more Blackeyed, some Pinkeyed Purplehull, and some Mississippi Silver. I stopped at that point because I’m basically out of space. The spaces I used for these were all in unused areas of my blueberry bed (a 3×6 raised bed). I chose this space primarily because it was available, having previously been used for cool weather crops that succumbed to the Florida summer heat. I also reasoned that they will not get tall enough to shade the blueberry bushes, and they should help enrich the nitrogen content of the soil, something that the blueberries should appreciate. 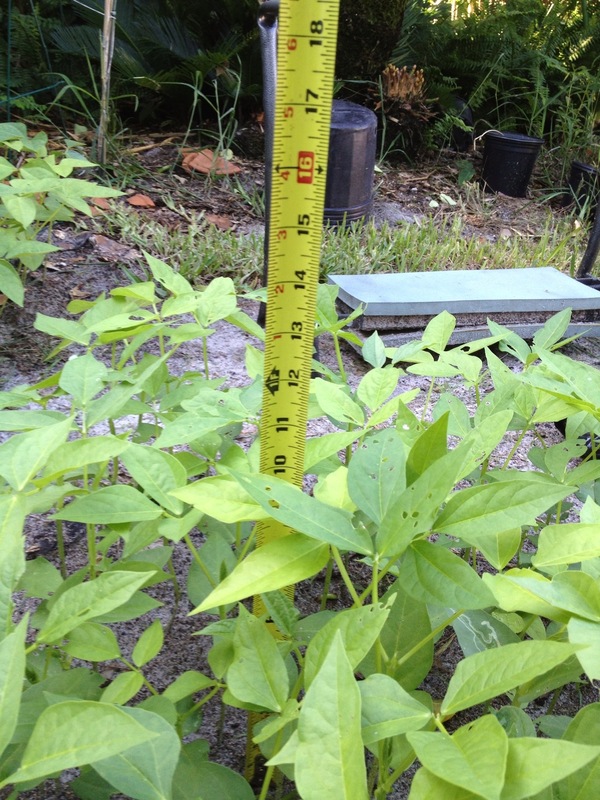 Here’s hoping that cowpeas do okay in acidic soil! 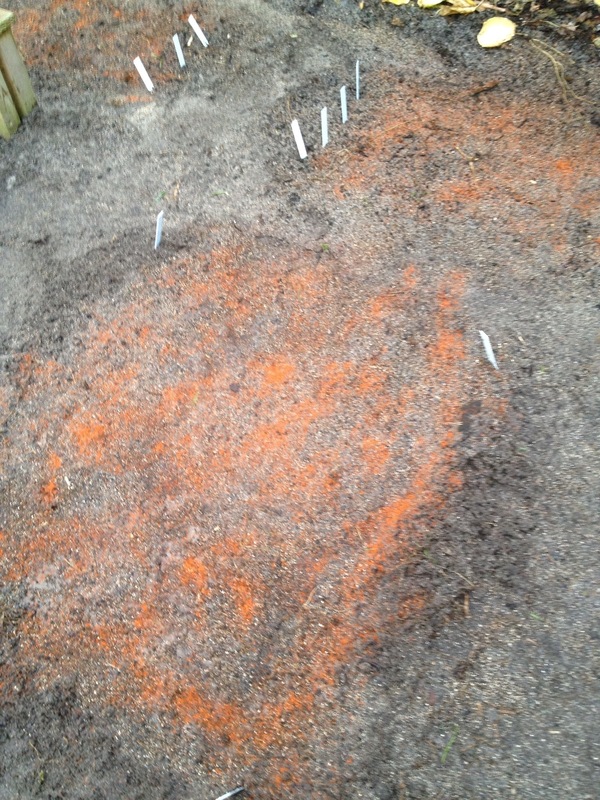 Another risk factor is that I realized after planting them that, much to my chagrin, I am out of cayenne pepper, which I used as squirrel repellant. 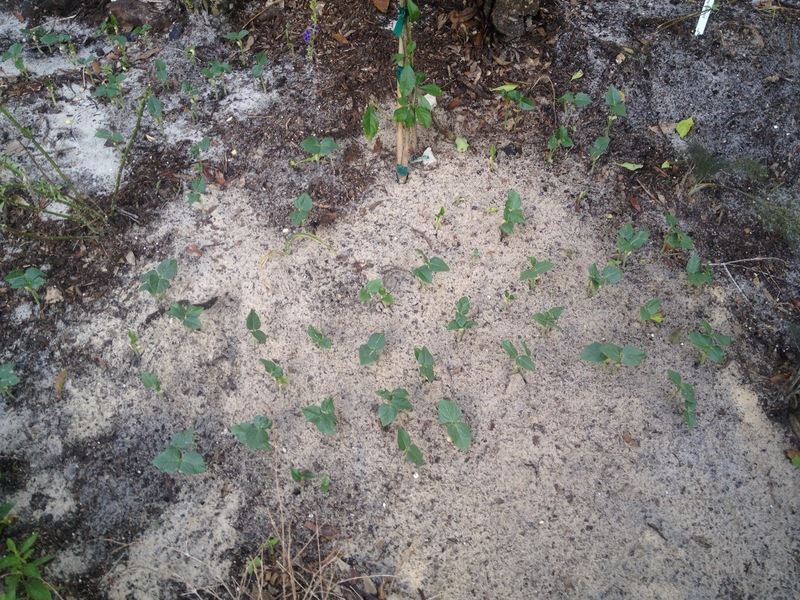 Assuming they tolerate the soil in this bed and assuming they escape the ravages of little, furry rodent feet, I should start to see this round of cowpeas pop up on Tuesday or Wednesday. I’ll keep you posted on this project as the summer moves along.